So I went to use Ping mode in ScrapeBox (which is like PRstorm)...then realized that to use it, you have to have sites to plug in that are going to show the site you want to link to (your money site, or whatever) as the referrer. Now, you can't just use any old set of sites, and then have your site set to show as the referrer and expect to get results...why? Well, because the page that your site is going to show up on as the referring site has to be indexed and crawled by search engines...why? 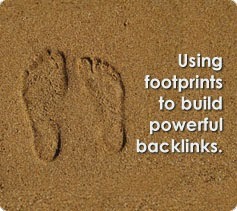 So you get credit for a backlink! Think about it, if the only person that can see the referrer log is the person who owns the site, how is the search engine ever going to see that your site is a referring site? It won't! So here are some other footprints you can use to "sniff out" indexed referrer pages to get your backlink on aside from the one used in the ScrapeBox Video Demonstration of Ping Mode. These were not discovered by me, I'm simply compiling them here for everybody else to use. You'll have to use your imagination and play around with some of them to make them better, as some of these have been discovered by webmasters or just talked about in blog articles and what not, so instead of referal sites you'll just get regular old websites. "Generated by Webalizer Version 2.01"
you'll get some referral log sites, some regular websites and some referral logs that aren't showing any data for quite some time. How do you make sure you only get referral logs that are going to show your site as the referrer and are up to date using that footprint? Well, you modify it. "Generated by Webalizer Version 2.0" "summary period may 2010"
Now, any pages that show up on google with that phrase will be active and indexed referral logs. However, one more problem comes up (if you take the time to look at just a couple of the results), some of the webmasters have turned off "show referring sites" on their webalizer output. So, even though it is an active webalizer page, there are no referral sites showing up...which means no backlink! "Generated by Webalizer Version 2.0" "summary period may 2010" "referrers"
Enjoy playing around with the list and REALLY getting your money's worth for ScrapeBox or PRstorm!